Last year TransferWise made history by becoming the first non-bank to be licensed to send money in and out of Singapore. In celebration, we’ve gathered 52 things to do to honor Singapore’s 52 years of independence. 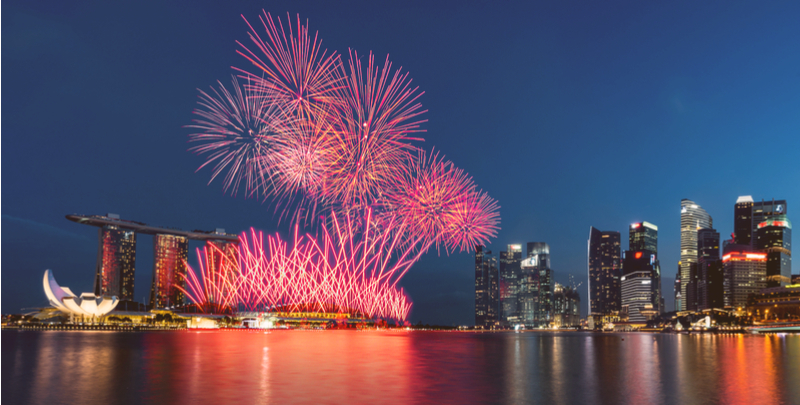 Marina Bay comes alive with the annual National Day parade on 9th August, culminating in a spectacular display of fireworks at night. Catch the action from anywhere around the bay. 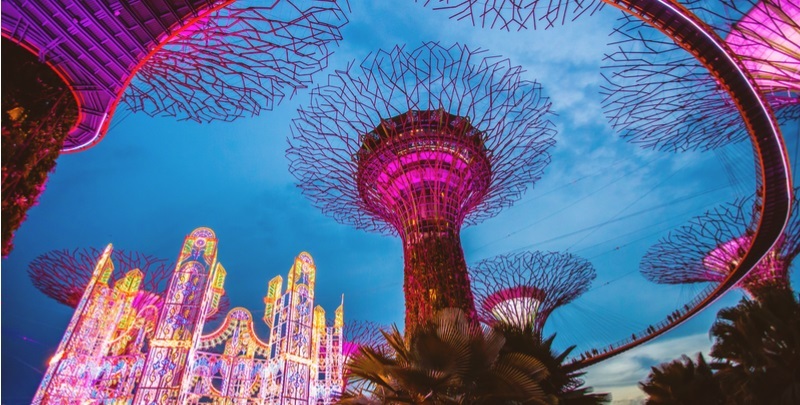 Over the weekend of 4th to 5th August and 11th to 12th August, the Singapore Civic District will host outdoor art displays, art programmes and live performances. Admission is free, and all are welcome to join in. Occupying a disused theatre at the Golden Mile Tower, the Projector regularly screens classic and arthouse movies. Find the latest showtimes from the Projector’s website. The well-manicured lawn atop the Marina Barrage is a popular spot for kite flying and picnics. On National Day, catch Air Force jets flying past as they perform hair-raising manoeuvres right in front of the barrage. Away from the city, the Punggol Waterfront hugs Singapore’s northern coastline and looks out to Malaysia. For a quiet evening, join joggers and cyclists and enjoy a relaxing stroll on the tarmac tracks. 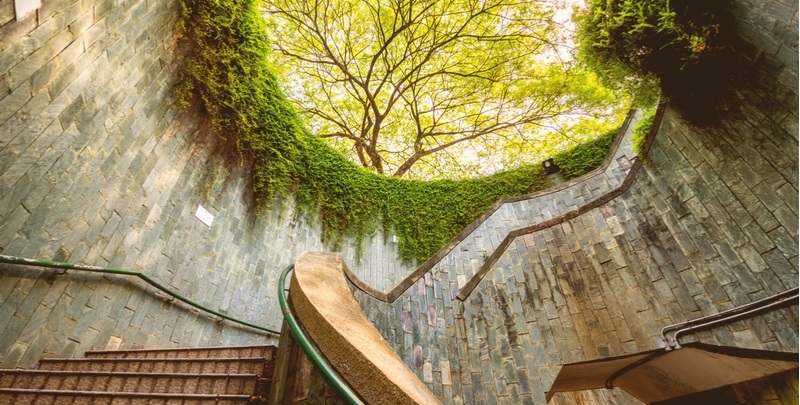 Singapore’s largest nature reserve holds a wealth of flora and fauna for the avid nature lover. For an easy hike, take the well-marked trail up to the summit of Bukit Timah. Satisfy those late-night hunger pangs at the famous Newton food centre. 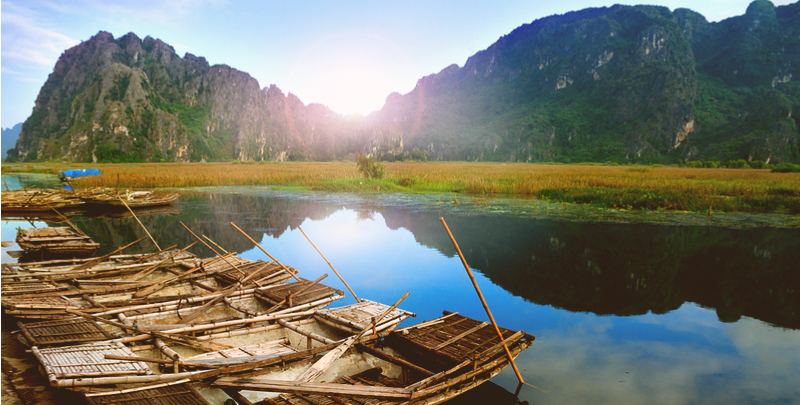 Local favourites include barbecued seafood and satay - skewered chunks of chicken, mutton or pork. 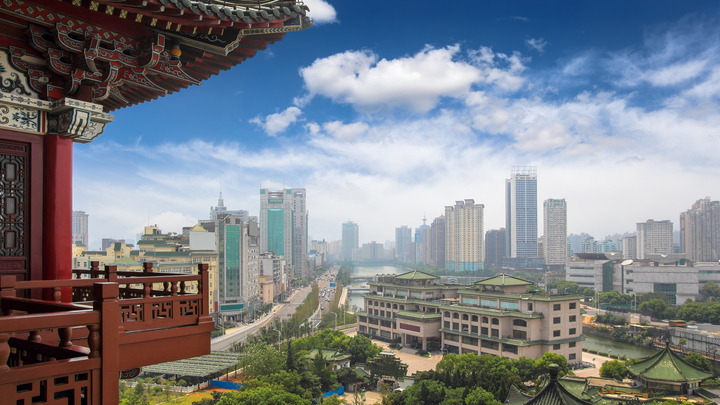 Can’t get enough of the National Day party atmosphere? 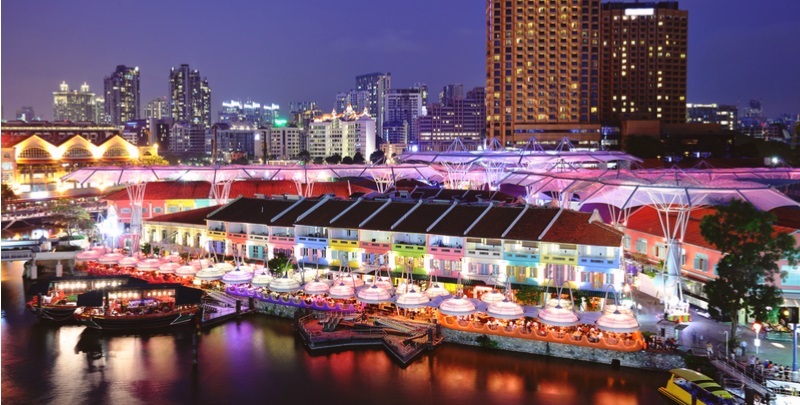 End the night at the many bars or clubs in the premier nightlife district of Clarke Quay. Just a half hour away from the Marina South Pier, ferries depart to the nearby islands of St John, Lazarus and Kusu. Here, you’ll discover peaceful and pristine beaches with hardly anyone else nearby. Just remember to bring everything you need – there aren’t a lot of shops on the islands. Tucked away in western part of the island, the Kranji Countryside is home to many working farms that supply fruits, vegetables, and meat to local markets. Many farms welcome visitors to tour their premises, and you can get around easily on regular shuttle buses. 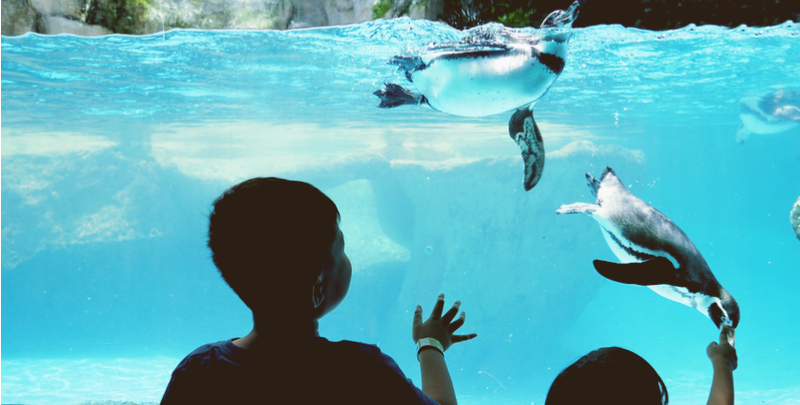 Where can you find a wide variety of penguins living comfortably on a tropical island right smack on the equator? In an air-conditioned enclosure in the Jurong Bird Park, of course! Orchard Road is still the undisputed place to indulge in a spot of retail therapy or to enjoy a nice meal in town. While at it, check out the buskers performing along the sidewalk too. A slew of cafes and themed shops have sprung up in a quiet residential neighbourhood in Tiong Bahru. Here, you can spend a day people-watching or catching up with friends over freshly roasted coffee and handmade pastries. For an unparalleled vista of the sunset behind Sentosa, take a 105m hike up to the Jewel Box in the late afternoon. 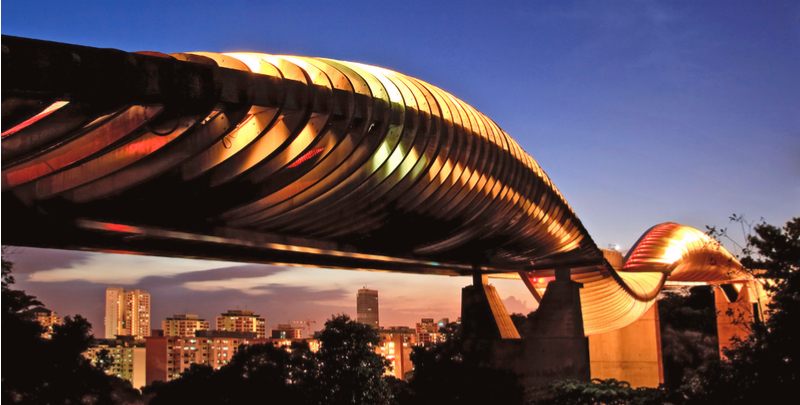 And if you have some time to spare, a short 30-minute stroll will lead you to the impressive Henderson Waves bridge, as well. Spend a fun-filled day riding roller coasters, watching live-action performances and learning how Hollywood special effects are filmed. Tickets start from S$76 for adults and S$56 for children. The eclectic Haw Par Villa is filled with sculptures of Chinese myths and folktales, and makes for an interesting day exploring the park. The highlight is a walk through the 10 courts of hell, showing the fate that will befall evil people after death. 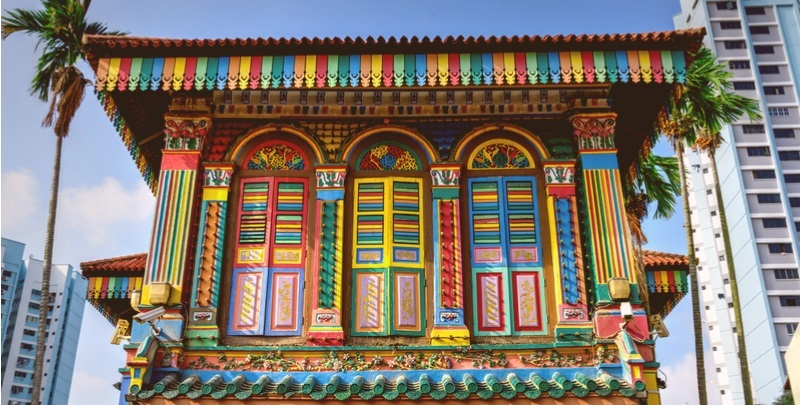 What better way to celebrate Singapore’s history than to take a look back on the nation’s history, from its early years as a fishing port to a modern cosmopolitan society?. 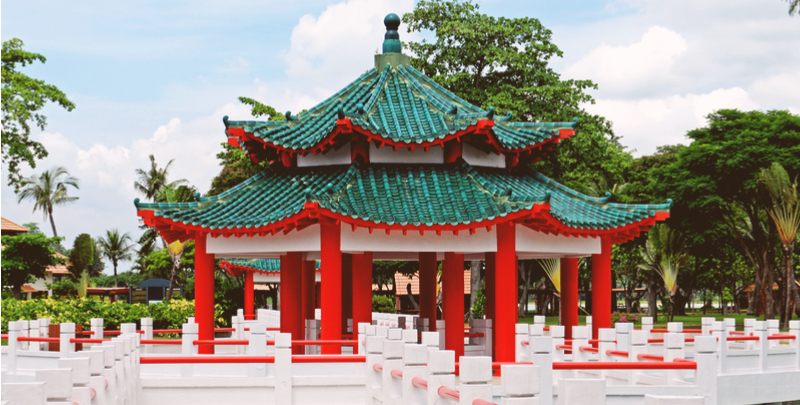 Be sure to check out the permanent galleries showcasing Singaporean culture while you’re there, as well. Government-run community centres run many interesting courses at subsidised rates, and everyone is welcome to participate. Check out the People’s Association website to view available courses and sign up. 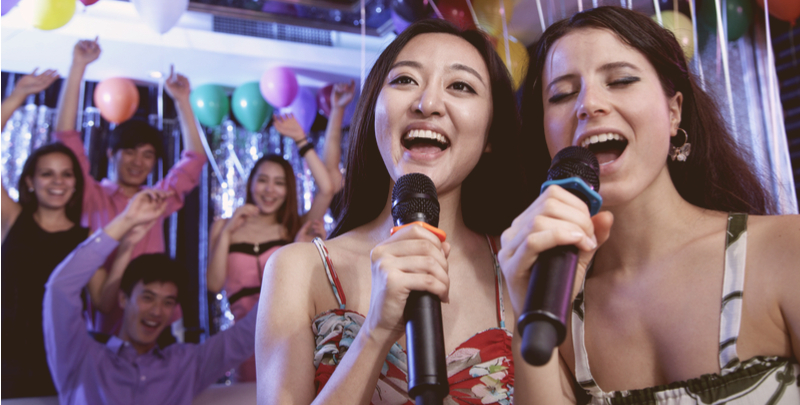 Gather a few friends and sing your hearts out in karaoke joints located all around the island. KBox is among the more reputable establishments around. 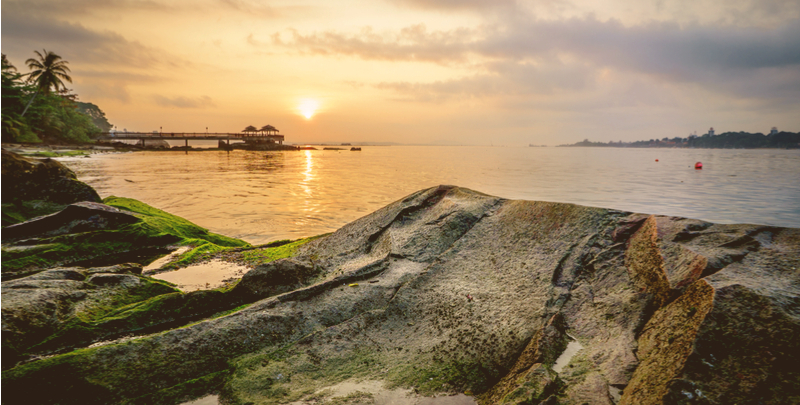 Pulau Ubin may be just a short boat ride away from mainland Singapore, but the laidback lifestyle is a world away. On weekends, day trippers flock to the island to cycle, jog and hike. Some insist the chilli crab ought to be Singapore’s national dish, and it isn’t hard to see why. 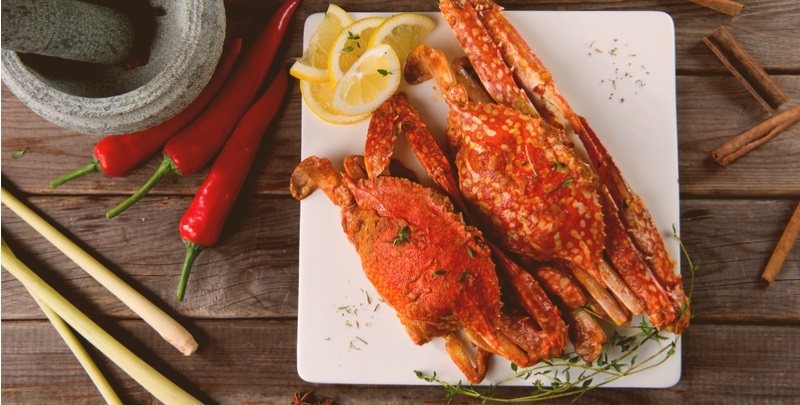 Delicately balancing the sweet and savoury flavours, some say the best chilli crab version is prepared at the Jumbo chain of restaurants. Occupying 28 hectares beside the serene Upper Seletar Reservoir, the Singapore Zoo is an amazing place to observe a wide variety of animals and learn all about their behaviour, habitats and conservation efforts. 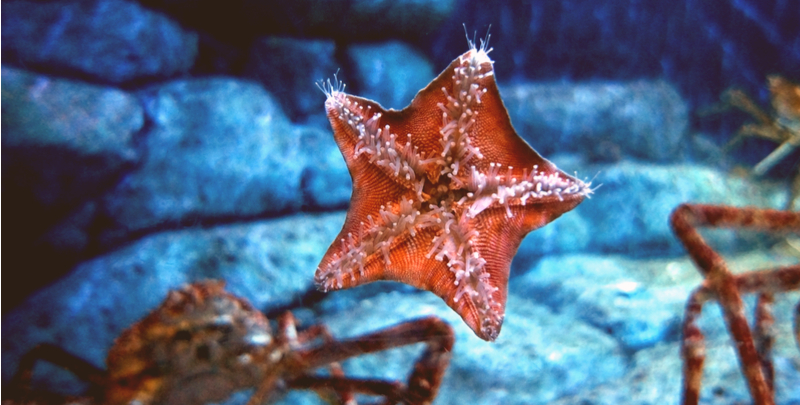 If you prefer to catch nocturnal animals in action, check out the Night Safari next door instead. See how the award-winning Tiger beer is made, right in the sprawling brewery in the south-western corner of Singapore. 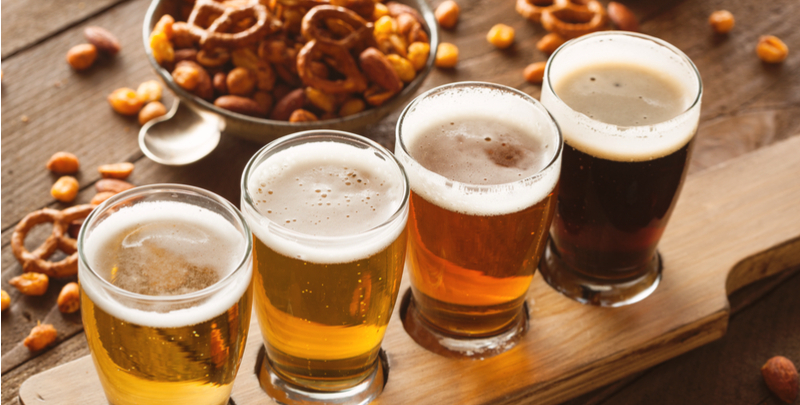 You can join a guided tour, and they’ll even throw in a spot of beer tasting at the end. The Cloud Forest, located in the Gardens By The Bay, is a highlight of any visit to Marina Bay. 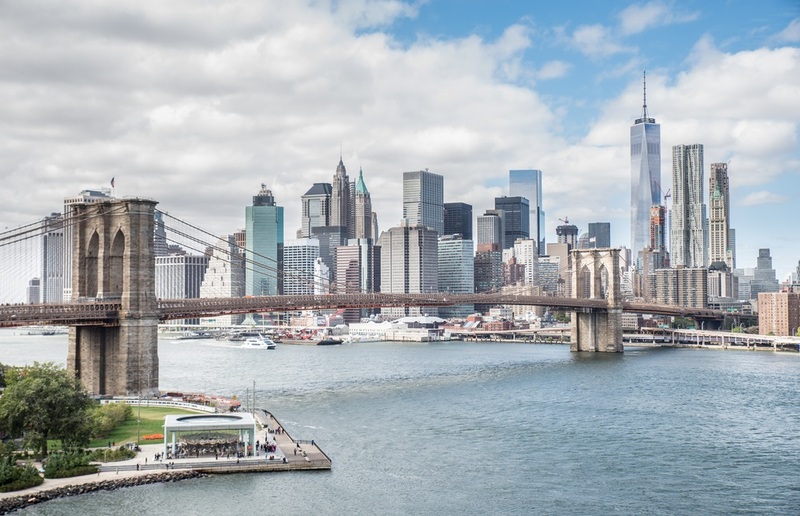 Walk inside a climate-controlled ecosystem and be awed by the 35m tall indoor waterfall. Organised by Sentosa and held at Palawan Green, this festival is dishing out local snacks, exciting kid’s activities, photo props and even a movie screening. Join the passionate group of volunteer guides and explore the Bukit Brown Cemetery, where the remains of many early pioneers lie. Hear their stories, relive their lives, and learn why conserving this little piece of Singapore’s history matters. The command centre of the British Army during World War II, the Battle Box remembers the last days before the Japanese invasion. 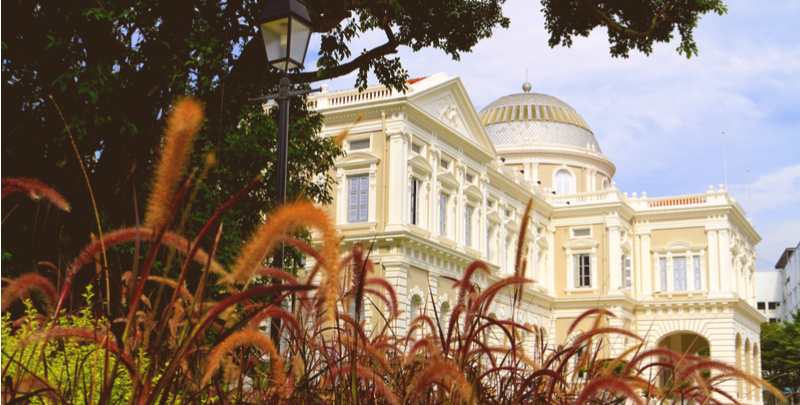 Learn what actually happened, and how Singapore nationhood grew from this experience. Spend a day lazing by the beach as you enjoy the comfortable tropical weather that Singapore is blessed with. And of course, Siloso Beach is the place to see and be seen! Pamper yourself and spend a night in the W Singapore hotel, which is located in one of Singapore’s most exclusive neighbourhoods. Just remember to get out of your luxurious room and spend some time in Singapore’s largest resort outdoor pool. 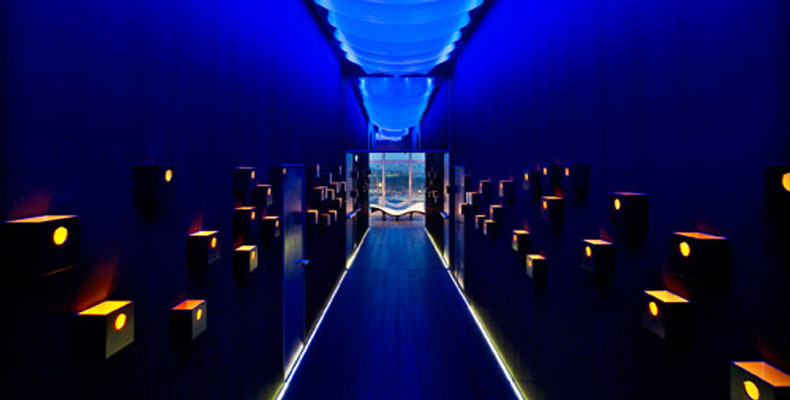 For an out-of-the-world experience, spend a lunch or dinner dining in pitch darkness at Nox. 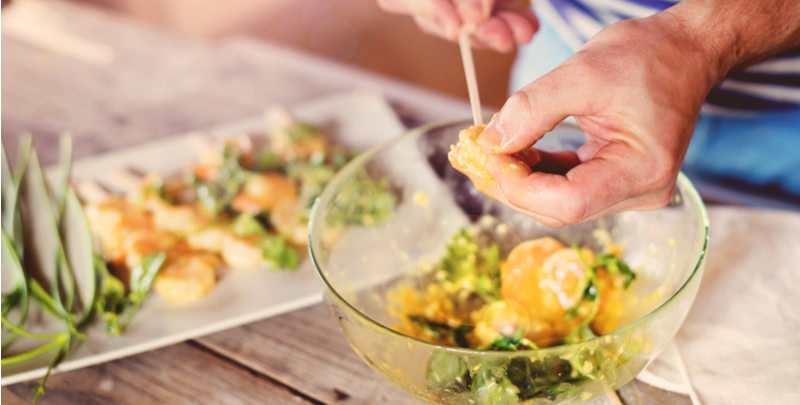 You’ll learn to taste the nuances of flavours in food and leave the restaurant with a better appreciation of the challenges faced by the visually impaired. Who says Singapore is all organised and neat? Explore the mesmerising chaos happening everywhere along the streets of Little India, and you even indulge in a spot of midnight shopping at Mustafa Centre. Paddle on the calm waters of the Kallang Basin from the Singapore Sports Hub to the Benjamin Sheares Bridge. Paddlers with a kayak license may venture further. Catch up with friends over scones and tea as you look out to Marina Bay. Elegant and classy, this is one way to spend an afternoon waiting for the National Day Parade to start. 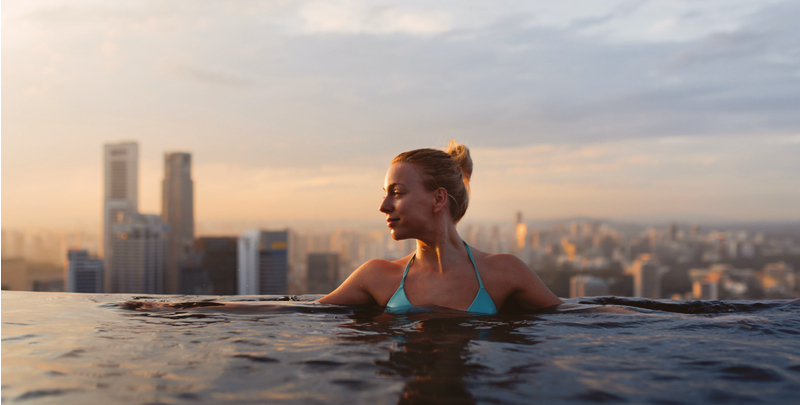 The iconic infinity pool atop the Marina Bay Sands offers an incredible view of Singapore’s skyline while cooling off from the tropical heat. It’s only open to hotel guests though, so book a room online. 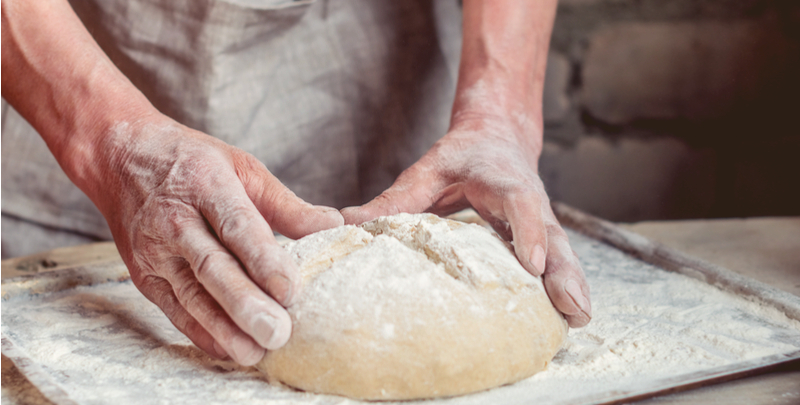 Tucked away in the Ngee Ann City shopping centre, the ABC Cooking School offers small group lessons on pastry-making, bread-making and cooking. Call ahead and ask about attending a trial lesson first. Enjoy the acts from local comic talents at Comedy Masala, happening every Tuesday at 8pm. Entrance to the event is $25. 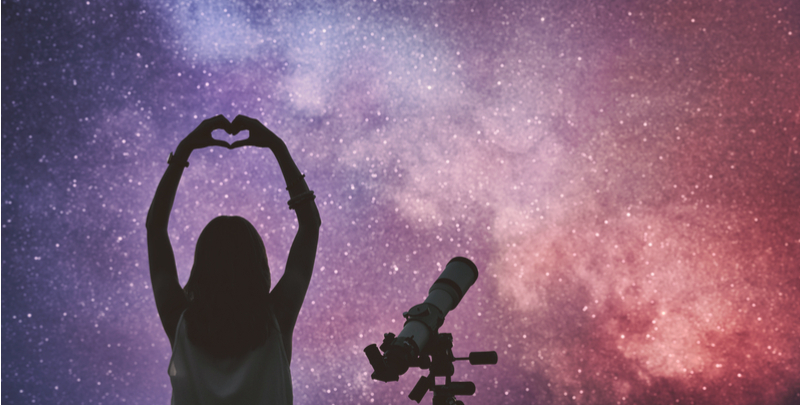 The Singapore Astronomical Society runs weekly stargazing sessions every Friday evening at the Singapore Science Centre. Just pop by and peer through the large telescope on the premises. As the temperature cools down in the evening, gather friends and family for a barbeque on breezy East Coast Park. Take note, though, BBQ pits require prior booking from the Nparks website or through an AXS machine. 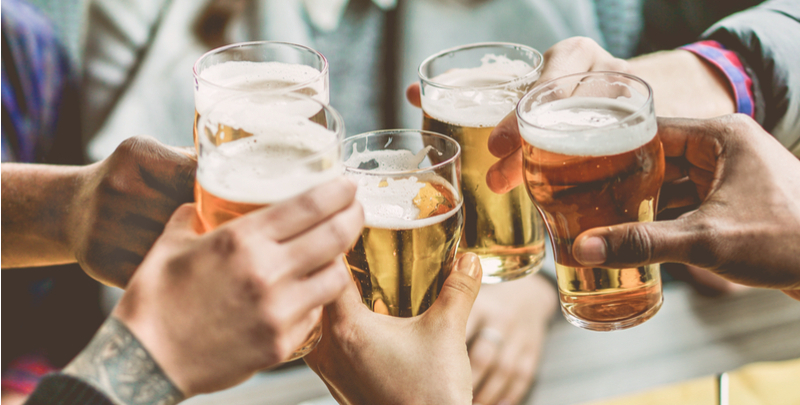 Tired of paying top dollar for craft beer at nice fancy bars? Smith Street Taps serves exclusive craft beers from around the world at affordable, hawker centre prices. Check them out at the Smith Street food centre in Chinatown. 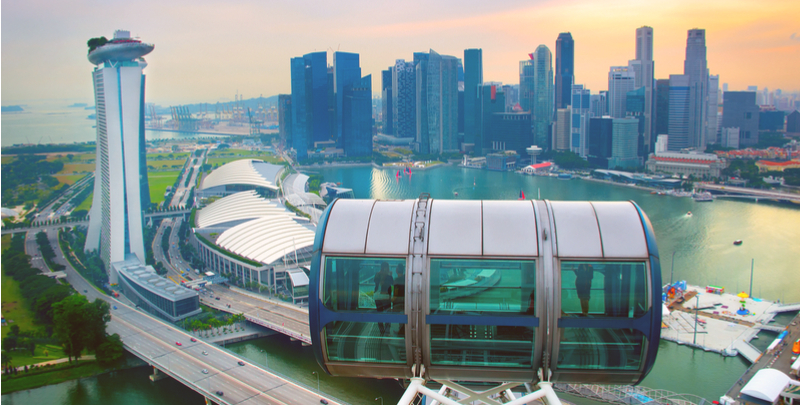 For a bird’s eye view of the Singapore skyline from every angle, hop on board a cabin at the Singapore Flyer. If you’re lucky enough, you might even catch the National Day fireworks from up top. If open-sea fishing isn’t your cup of tea, you might want to try prawning in small commercial ponds. Orto has several sheltered ponds for you to check out, starting at S$20 for an hour. Kooza, the latest circus at by Montreal-based Cirque Du Soleil, is happening at the open grounds just beside the Marina Bay Sands. Catch them in action now to 27 Aug 2017, tickets available at SISTIC. 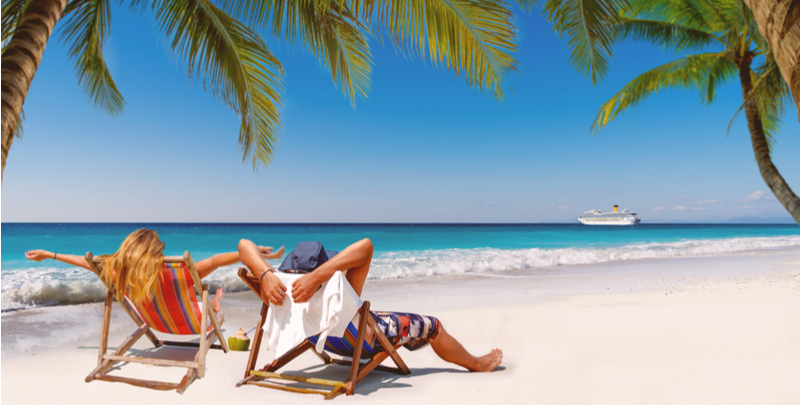 Live the high life, if just for a few hours, by chartering a yacht and sailing out to the open seas. 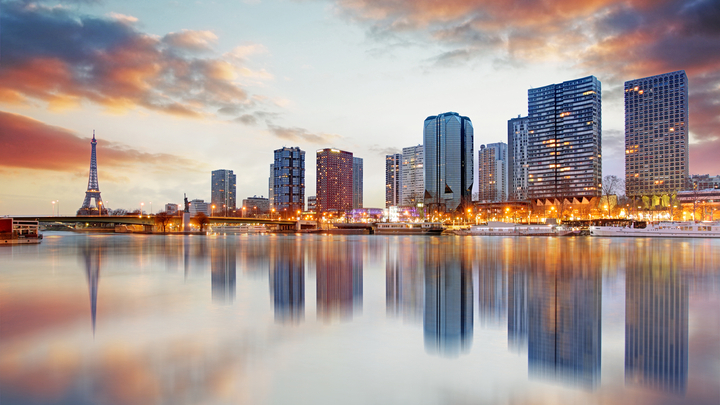 Yacht rentals include a captain and rates start from S$1,000. Check out MarineBookings.com for more information. Spot mudskippers and frogs as you navigate the tricky mangrove swamps in Pulau Ubin. A 4-hour guided tour conducted by Asian Detours starts from $79.50 for adults, S$59.00 for children. Can’t afford expensive private country club memberships? You can still hit the green at one of Singapore’s few public courses just a stone’s throw away from the Gardens By The Bay. 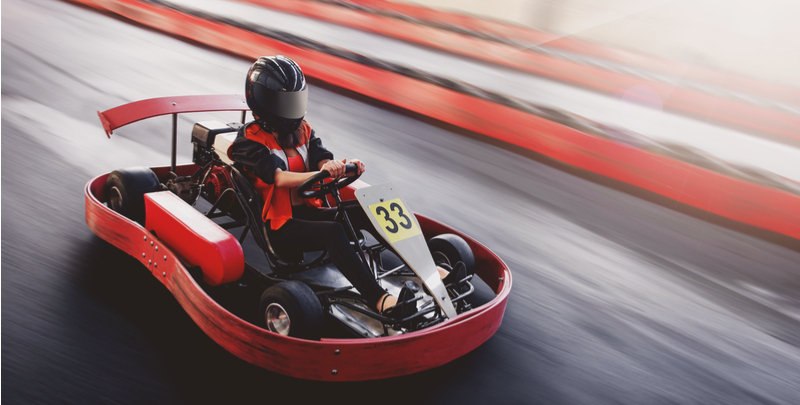 Burn rubber as you drift across tight corners in the KF1 Karting track. Public rates start from S$28 per 10-minute session, or sign up for a long term membership and buy your own go-cart. Can tropical Singapore ever snow? Probably not, but avid skiers can still get their fix at Singapore’s only artificial ski slope at Snow City in Jurong East. A recent entry to the exclusive Michelin starred restaurants, Liao Fan Hong Kong Soya Sauce Chicken Rice now sees even longer queues of hungry diners. Try to head there outside of lunch and dinner hours to avoid the worst of the crowd. The S.E.A. Aquarium in Resorts World Sentosa showcases marine life from all over the world, and makes for an interesting day out. To top off a wonderful visit, you may want to dine at the Ocean Restaurant located on-site. 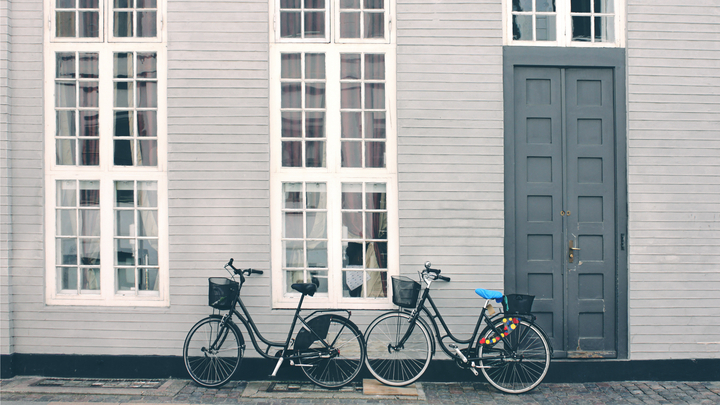 With shared bicycles available everywhere across Singapore in recent months, you can very easily hop onto one and ride the well-paved bicycle tracks all over Singapore safely. Think rock-climbing is a sweaty sport that can only be done under the scorching sun? Climb Central allows you to learn the ropes in air-conditioned comfort inside the Kallang Mall. 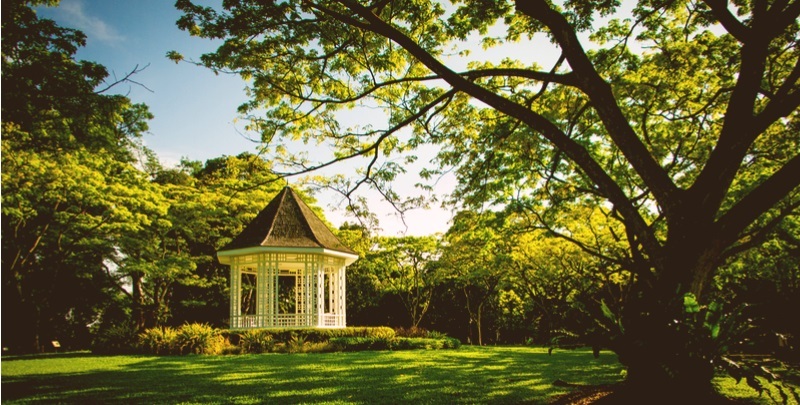 Now a UNESCO World Heritage site, the Singapore Botanic Gardens offers well-shaded paths for joggers or families taking a stroll. You might even catch an orchestral performance while having a picnic! 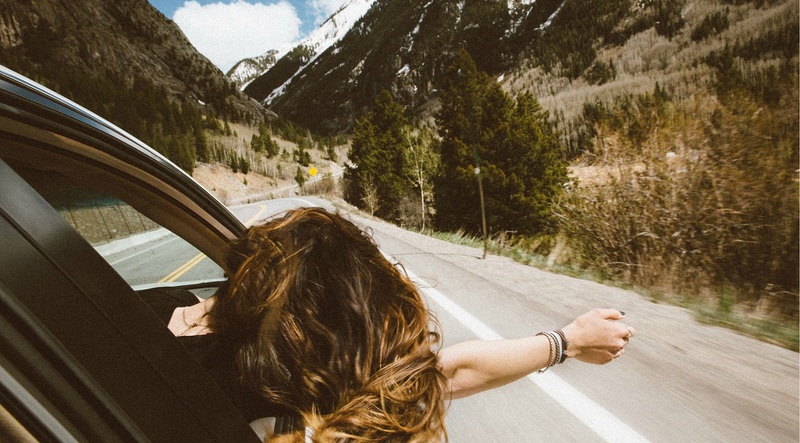 And if your adventures ever have you needing to send or receive money internationally, give TransferWise a try. You’ll find your money is converted at a fair exchange rate - the same rate you find on Google - and everything happens only with fees you’ll see upfront. Because TransferWise has bank accounts in each country it operates in, no money has to pass international borders. Saving you any way you look at it. Regardless of what you choose to do, go out there and celebrate Singapore’s 52 years of independence.